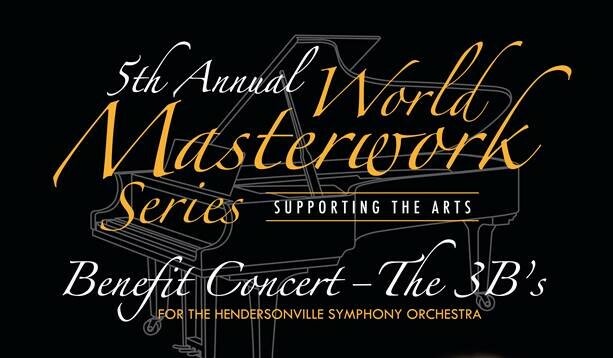 5th Annual World Masterworks, The 3B’s for the Hendersonville Symphony Orchestra. The Music Foundation of Western North Carolina presents the Fifth Annual World Masterwork Series Benefit Concert—The 3B’s for the Hendersonville Symphony Orchestra. This performance, an unprecedented and technically challenging three-piano concert with the Hendersonville Symphony Chamber Orchestra, will be performed at the Diana Wortham Theatre on Saturday, September 2nd at 7 p.m.